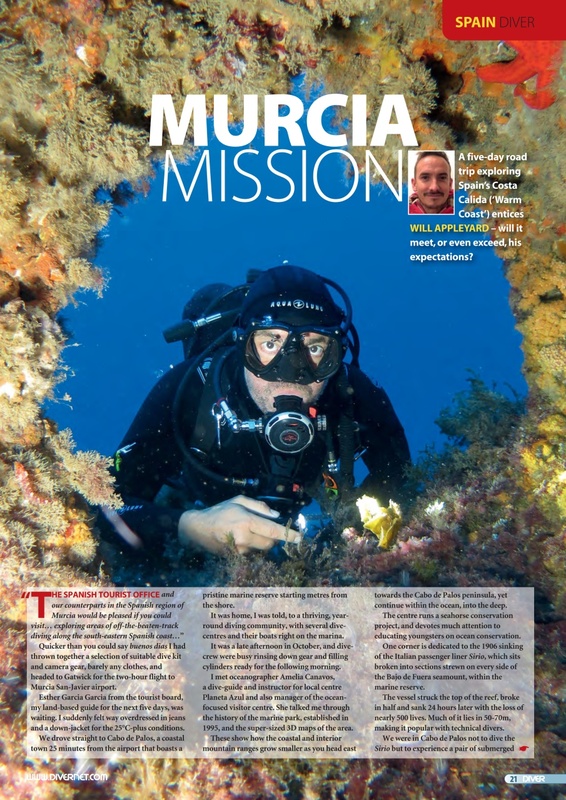 MURCIA - Will Appleyard sets off on a Spanish road-trip. 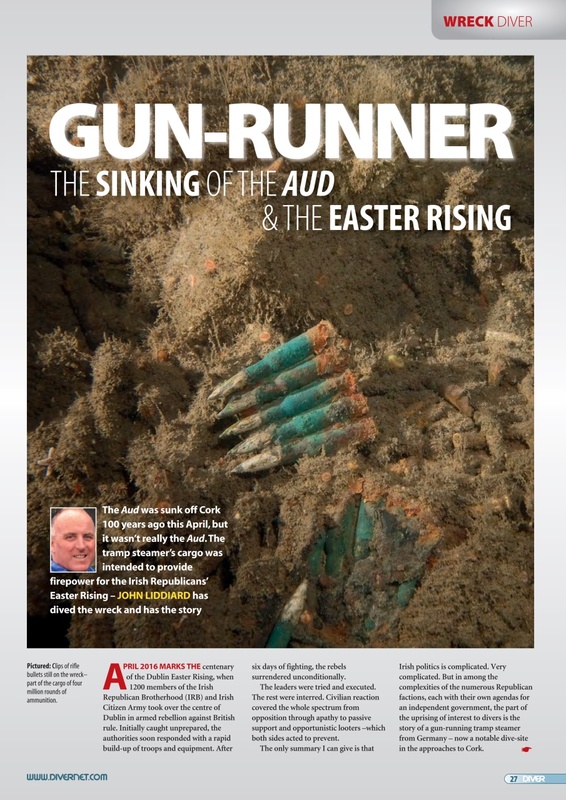 THE AUD - The wreck of a gun-runner 100 years on from the Easter Rising. RHODE ISLAND SHARKS - Choice Atlantic shark encounters off the eastern USA. 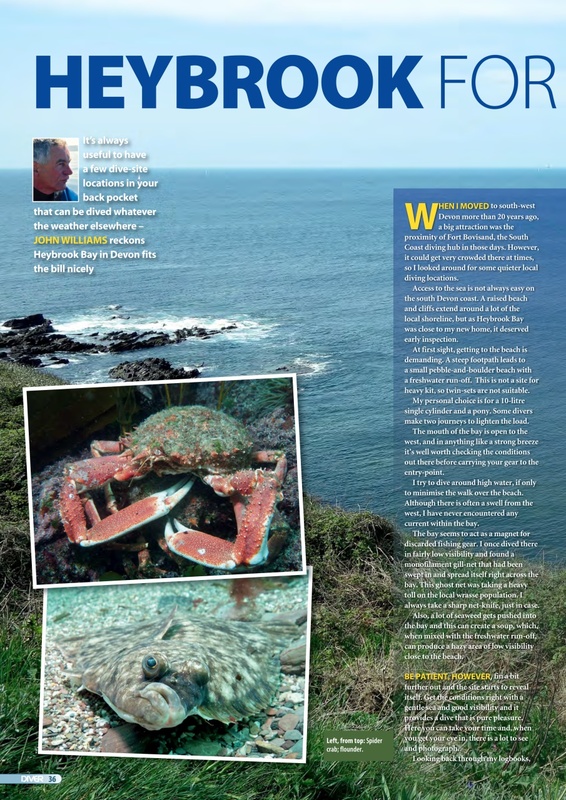 HEYBROOK BAY - A bay in Devon worth keeping in the back pocket. 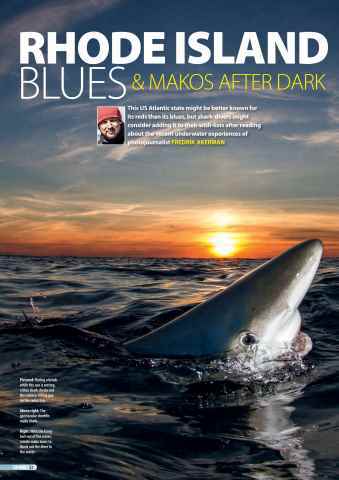 PHOTO BLUR - Your blurred photographic vision could win you prizes. 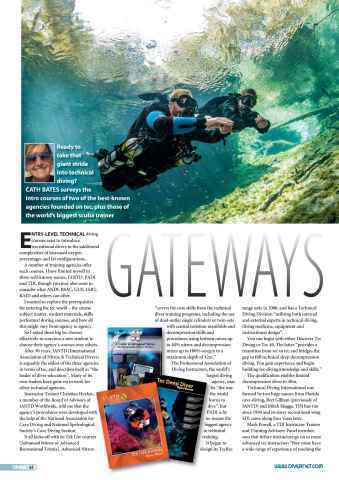 GATEWAYS TO TECH - Cath Bates explores entry-level tec-diving courses. FAROES GRIND - Time to consign the Grind to history. 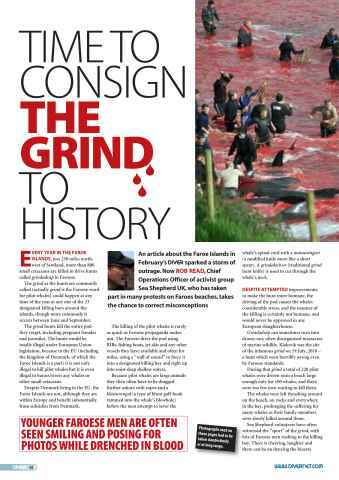 Sea Shepherd on massacre in the Faroes. NAVIGATION - Losing your way under water? Follow Simon Pridmore. 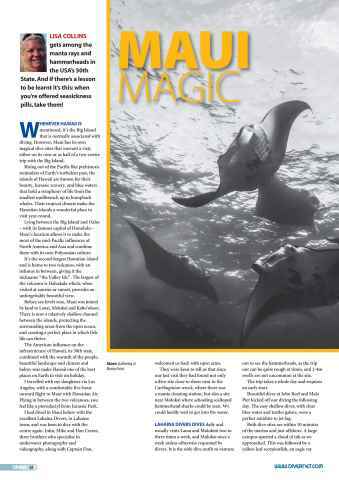 HAWAII - Lisa Collins hangs out with mantas and hammerheads in Maui. 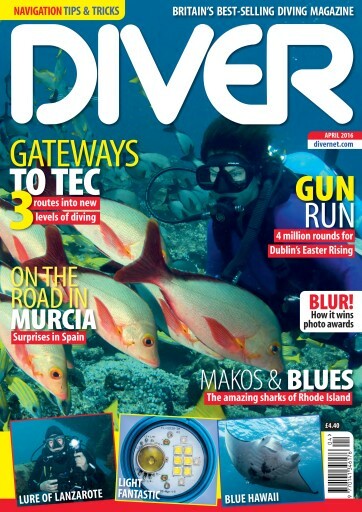 LANZAROTE - Will a last-minute change of plan affect a Canaries trip?